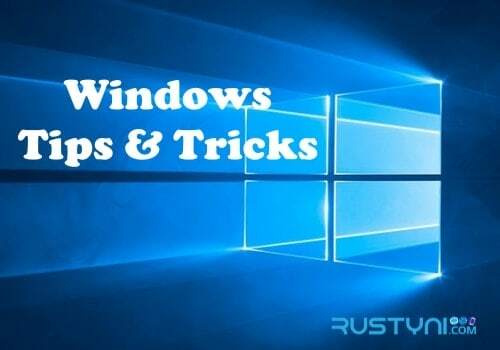 Home » Windows » Should I Disable Superfetch Feature in Windows 10 / 8 / 7? Things to take into consideration when trying to decide whether it will be best to disable or enable the Superfetch feature in Windows 10 / 8 / 7 along with a complete explanation about Superfetch itself. Some Windows user still has trouble to decide whether they need to disable Superfetch feature on their computer. Actually, there is no perfect answer for this. It all depends on how the person uses their computer and also their personal reference. Do you have the same question as well? Better to read on to find out more about Superfetch and after that, you can decide whether you want to keep this feature on or off. Superfetch is a feature that was introduced with Windows Vista and onward. This day, you can find this feature in Windows 10 / 8 / 7 as well. This feature will make sure that the often accessed data will be loaded from fast RAM (Random Access Memory) so they don’t have to be called from slow disk hard drives into memory. This technology will decrease boot time by record data and files that need to be accessed at specific time and stores it in trace files. Later, this trace files will be used to make loading process more efficient, thus will decrease boot time. Based on the usage pattern (refer not only to the type of application that you use but also the time that you use it), Superfetch will load the most used application in main memory. When you open the app, Superfetch will load the memory and it will lead to faster app launch. Back to the conflicting idea whether to keep enable or disable Superfetch, you need to understand a couple of things. There is an opinion spread that having Superfetch enable will make less RAM available to other programs or application that you don’t use that often, thus make other program run slower. It is not completely true. The main idea of Superfetch is to have a faster loading process for the most often used program. But that won’t slower down another program. The RAM you use to open another program will always supersede Superfetch so you don’t have to worry about losing any speed because of it. So, do you want to disable or enable Superfetch? Based on the general information above, there is actually no need to disable this feature. But if you personally think that it disturb your computer so much, and then you can disable it.